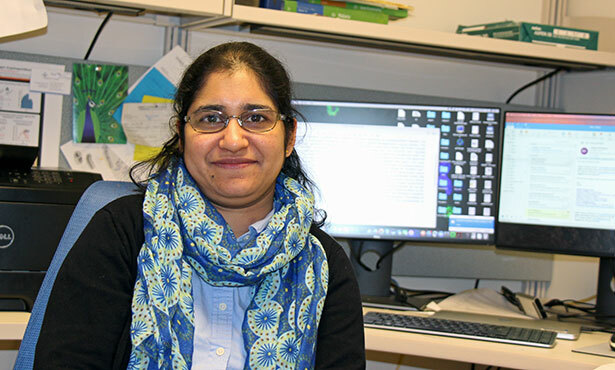 Dr. Sumiti Vinayak has received a two-year, $426, 511 R21 grant from the National Institutes of Health to develop a tool that will help researchers everywhere find effective weapons against the protozoan parasite Cryptosporidium. Cryptosporidium has long been a target of investigation, given the suffering it inflicts on people and animals around the world. Infection occurs when people or animals ingest water or food contaminated by Cryptosporidium oocysts. These spore-like oocysts are resistant to standard disinfection procedures. But, because the organism has been difficult to study in the laboratory, there are no effective drugs or vaccines to treat or prevent cryptosporidiosis, the diarrheal disease it causes. And she’s just the person to make that happen. The newly funded research builds on groundbreaking work that was begun while Dr. Vinayak held research appointments at the Center for Tropical and Emerging Global Diseases at the University of Georgia, Athens. She will use molecular genetics such as the CRISPR/Cas9 genome editing system to enable researchers to study genes that are essential for Cryptosporidium survival. Researchers will be able to cause the parasite protein to degrade or to protect the protein, thus allowing interrogation of essential gene function. In this way, Cryptosporidium’s “Achilles’ heel,” meaning a genetic weak spot, can be studied for the development of novel drugs and vaccines. Dr. Vinayak first developed a powerful system to genetically manipulate Cryptosporidium while at UGA. This work was published in the journal Nature in 2015. Two years later in a second Nature article, she and her team reported on the development of a robust in vivo mouse model system to test the efficacy of anti-cryptosporidial compounds. These breakthroughs garnered many scholarly awards for Dr. Vinayak. She also received a Grand Challenges Exploration grant from the Bill and Melinda Gates Foundation to pursue work on Cryptosporidium. This grant traveled with her to Illinois when she became an assistant professor in the Department of Pathobiology in the fall of 2017. At Illinois, she joined other researchers interested in cracking the Cryptosporidium conundrum, including Dr. William Witola and professor emeritus Mark Kuhlenschmidt, whose laboratory she now puts to good use. The new grant is the first NIH funding Dr. Vinayak has received. It’s also the only NIH grant she has applied for to date. 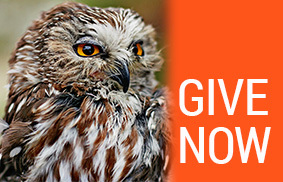 Only about one in six R21 reviewed grant proposals are funded.